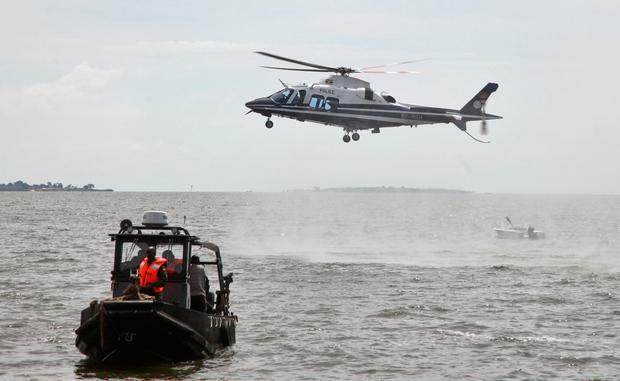 Ugandan diving teams are retrieving bodies from Lake Victoria where police say at least 30 people died in a boat accident near the capital, Kampala. The boat overturned and sank at about 7pm local time on Saturday night, said senior police officer Zurah Ganyana. She said that 27 people were rescued overnight, lower than earlier reports. More than 90 passengers were on the boat, leading officials to believe that the death toll will rise. Ganyana said the boat was in poor condition and had been grounded for some time. She said it did not have a valid licence to operate. Early on Sunday a police helicopter hovered low over the spot where the boat sank, as a team of divers searched for bodies under calm waters. As the death toll rose, so did the crowd of onlookers at a beach abutting a quiet village outside Kampala. Police carried victims in tarpaulins and hauled them into a waiting truck, occasionally drawing loud wails from some of the onlookers. One young woman, seeing a victim she apparently recognised, collapsed and was rushed to hospital. Witnesses who were there on Saturday night said they heard people calling for help as they tried to stay afloat and others tried to swim ashore. Many were women. One reason many people died so close to shore was likely "intoxication", said Asuman Mugenyi, national director of police operations. Citing the accounts of some survivors, he said there was a good number of life jackets on board the doomed vessel that passengers neglected to wear. The boat's passengers, in a party mood halfway through their journey, are likely to have panicked when the vessel started to sink, he said. 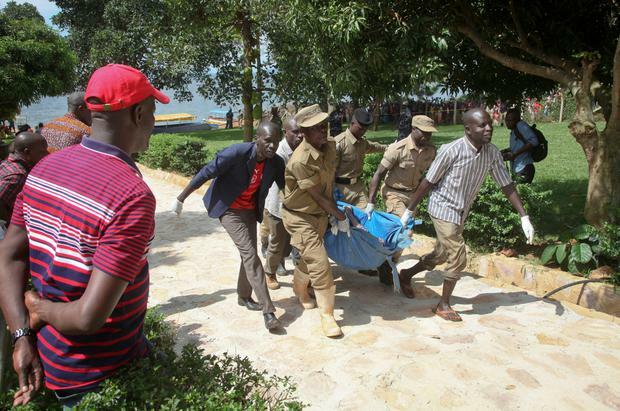 The boat is believed to have been on a routine weekend cruise that is popular among some young Ugandans. Victims include the couple who owned the boat, according to police officer Ganyana. Boat accidents are increasingly common on East Africa's major lakes including Lake Victoria, which is surrounded by Tanzania, Kenya and Uganda.